The Parrot MKi9200 connects to your car audio system and delivers hi-quality conversations whatever the conditions are. The MKi9200 is delivered with an independent RF remote control. Positioned on the steering wheel or placed wherever is convenient the remote control gives you the total control you need right at your fingertips. The Parrot MKi9200 propose an incredibly efficient combination of an external double microphone and new software which eliminate environmental and in-car noises with full-duplex and zero-echo crystal clear conversations. Another unique feature: the screen of the MKi9200 is detachable from its support when you leave your vehicle for ultimate security. The screen of the MKi9200 also features a SD connector toeasily access up to 32GB of music! The remote control gives you access to the main functions: Play pause next song previous song and volume. The MKi9200 displays the playlist for you to always visualize what is played. 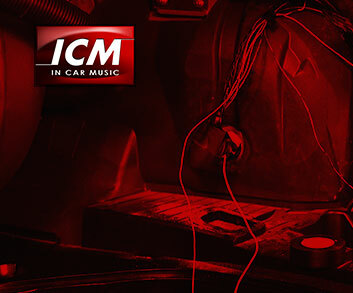 All music files are played back on the cars speakers (front and back) while the MKi built-in digital amplifier transforms your car into a true concert hall! The MKi9200 automatically synchronizes the names and phone numbers in your mobile with their phonebooks and update theirs phonebooks each time a new entry is detected. To access your phonebook and make a call simply press the green button to start the user-independent voice recognition: the MKi9200 recognizes your voice and the name you are saying without any prior teaching process. You can also directly access the phonebook and browse all the names thanks to the voice synthesis (Text To Speech). So simple! When you receive a call the name and the number are displayed on the screen. To follow on your conversation in a discrete mode switch instantaneously thecommunication towards your Bluetooth headset or your mobile phone. The MKi9200 offers the widest compatibility with existing and future Bluetooth mobile phones thanks to its full compatibility with the Bluetooth wireless communication protocol. The software of the MKi is upgradeable for free at any time from the Parrot website. The benefit a higher integration in the vehicle.The Parrot MKi9200 can be interfaced with an optional module  Parrot MULTICAN  which uses the existing steering wheel mounted commands to control your Parrot Bluetooth hands-free car kit. There is no additional visible part to install; it only uses the existing cars steering wheel control buttons. You keep controlling the car radio from the steering wheel and if the steering wheel doesnt have enough buttons the Parrot MULTICAN uses a specific combination of buttons to compensate for the missing ones. At least a fully invisible Bluetooth hands free solution!